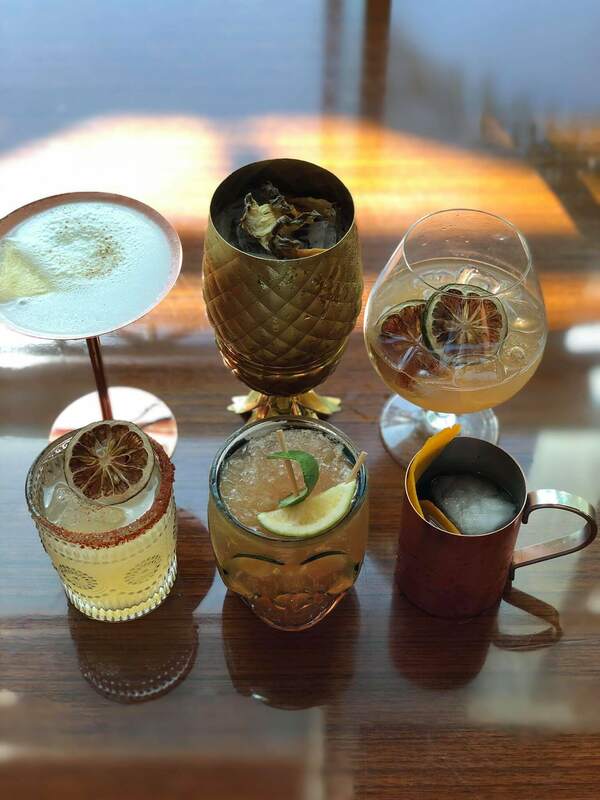 I first tasted the Latin-Inspired food of Waterside at Solaire last year when I did the nerve-wracking Dinner in the Sky Philippines experience. Adrenaline-rush aside, I clearly remember finishing every bite and morsel on my plate because everything was just well-thought-of and delightful. 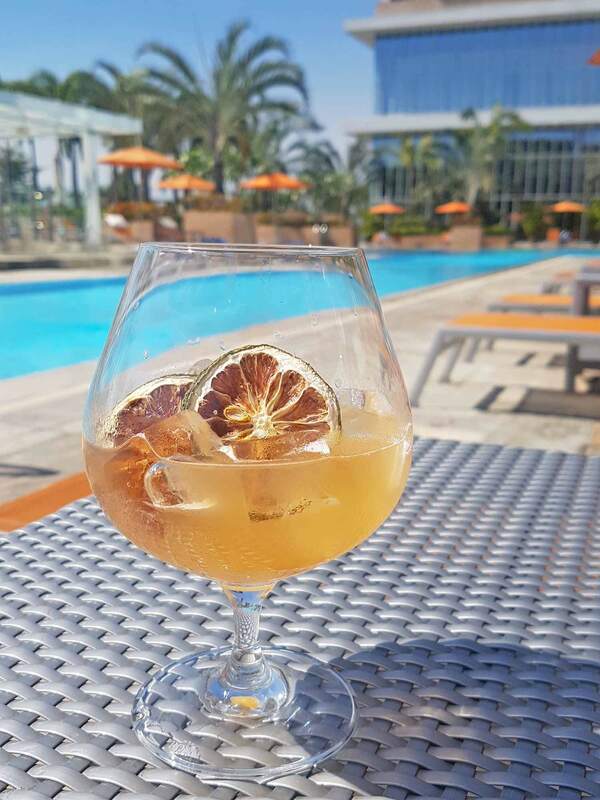 And as if things couldn’t get any better, Waterside at Solaire Resort has recently launched a new menu that will surely excite the palate of both loyal guests and newcomers to Waterside. The inspiration? Chef Hylton Le Roux’s (Head Chef of Waterside) trip to Mexico’s busy spice and street markets last year. A new menu promising nothing but the best Latin flavors to each and every diner. 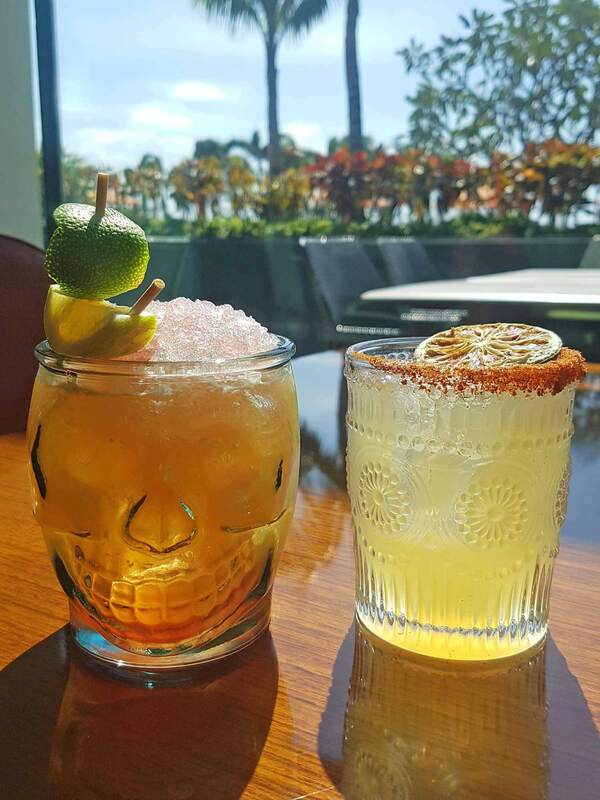 In its new menu, Waterside at Solaire introduces a festival of flavors where more than 85 percent of the items are new and features choice ingredients flown in from Mexico. 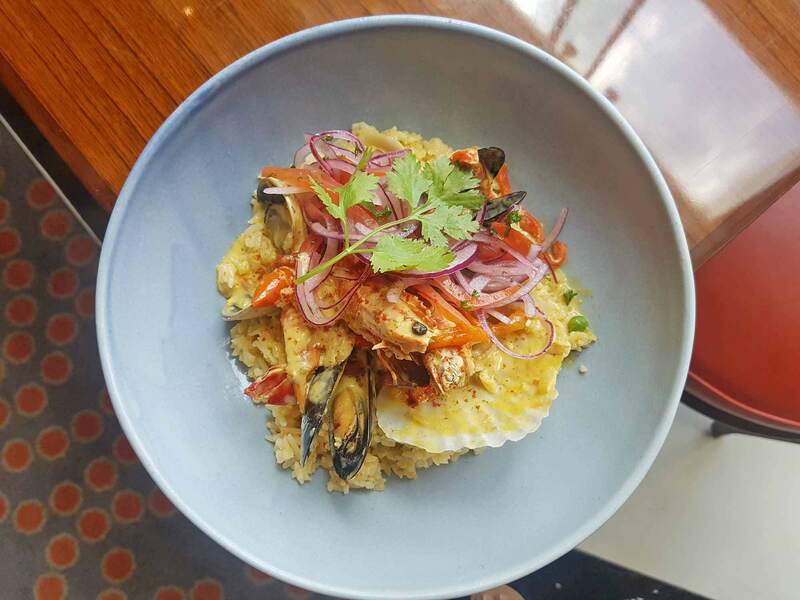 New dishes include traditional Latin favorites such as “Tuna Tostada”, “Arroz Con Mariscos” and “Escabeche De Pescado”. 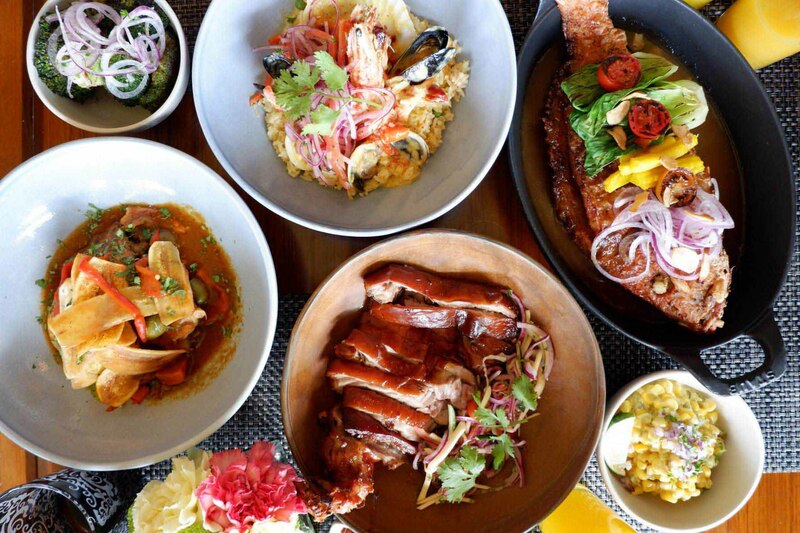 On the other hand, Chef Hylton also pays homage to local Filipino flavors. Which obviously bear close affinity to Latin cuisine due to centuries of Spanish influence on Philippine culinary heritage. 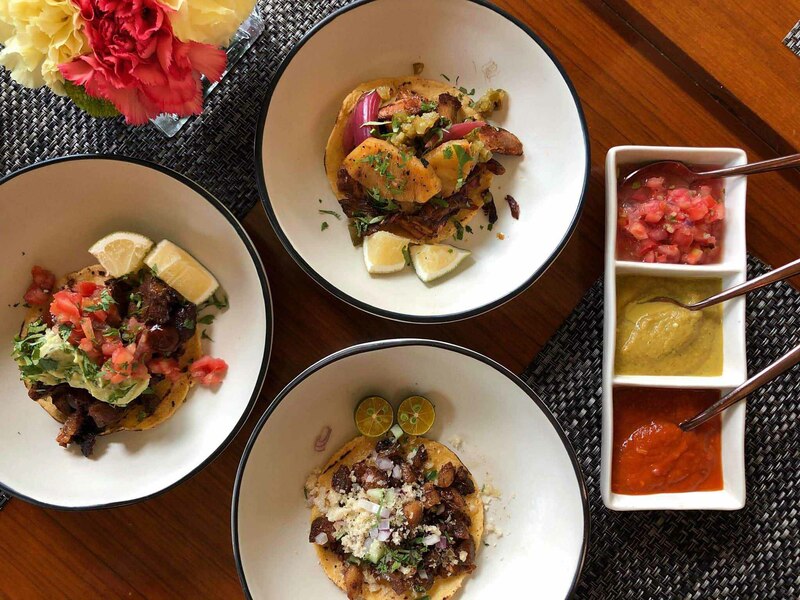 In some of the must-try new dishes, Chef uses Filipino ingredients on traditional Mexican dishes, such as “Sisig Tacos”. I’ve always had a love affair with ceviche. Growing up in a Visayan household, I’m used to eating Kinilaw (raw seafood). So having ceviche on my favorite Latin dish list comes second nature. 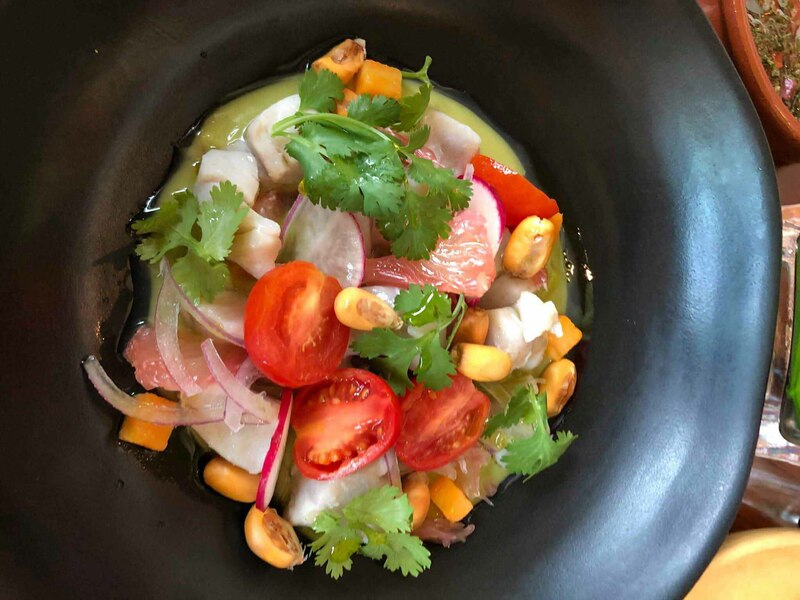 And gladly, Waterside’s version lives up to my expectation of what a good ceviche should be – fresh, citrusy, with a delicious burst of umami aftertaste. I also loved the warm, meaty goodness that the Albondigas brings to the table. What’s not to love about tacos? They’re extremely delicious, easy to make, and very versatile. Whether you’re a carnivore or a vegetarian, there’s definitely a right variation suited to your taste. 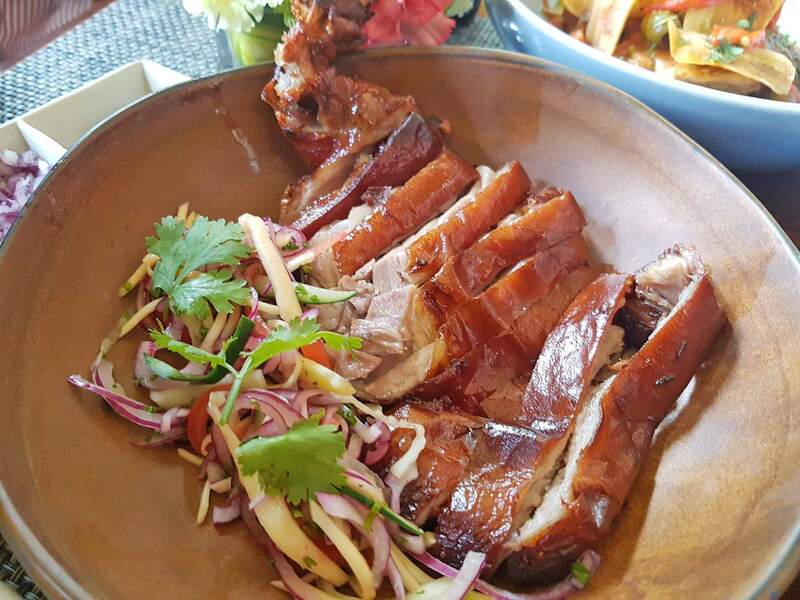 But I’m a carnivore, so I am definitely impressed by the selection of meaty flavors brought about by Chef Hylton to Waterside at Solaire’s tacos. I honestly loved all three – tender and well-marinated meat, soft tasty taco, and a burst of fresh ingredients. My favorite though would have to be the Sisig Tacos – a wonderful marriage between Latin tradition and Filipino flavors. Now who says Sisig can only delicious with rice? 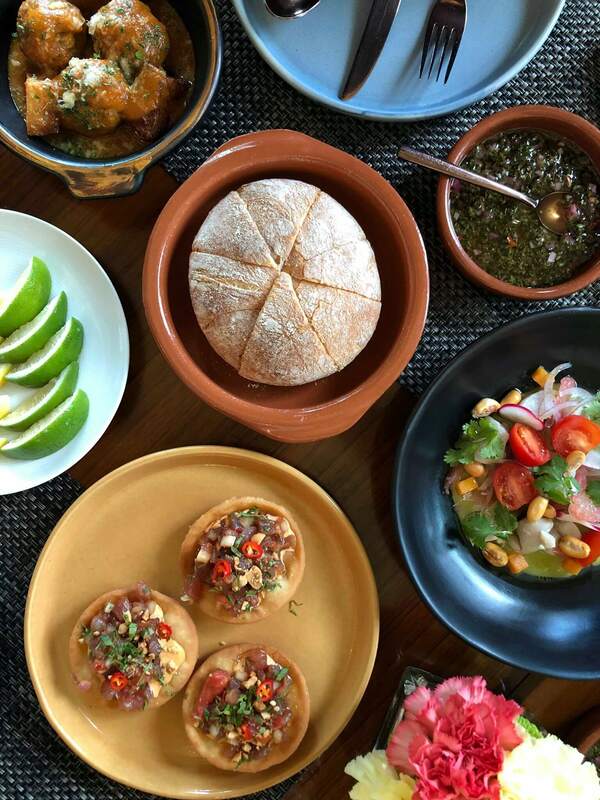 Chef Hylton brings back the aroma, colors and taste of South America in a plate. And this is especially true with the excellent roster of mains Waterside at Solaire has on its new menu. Inventive yet traditional is probably the best way to describe each and every dish on the list. 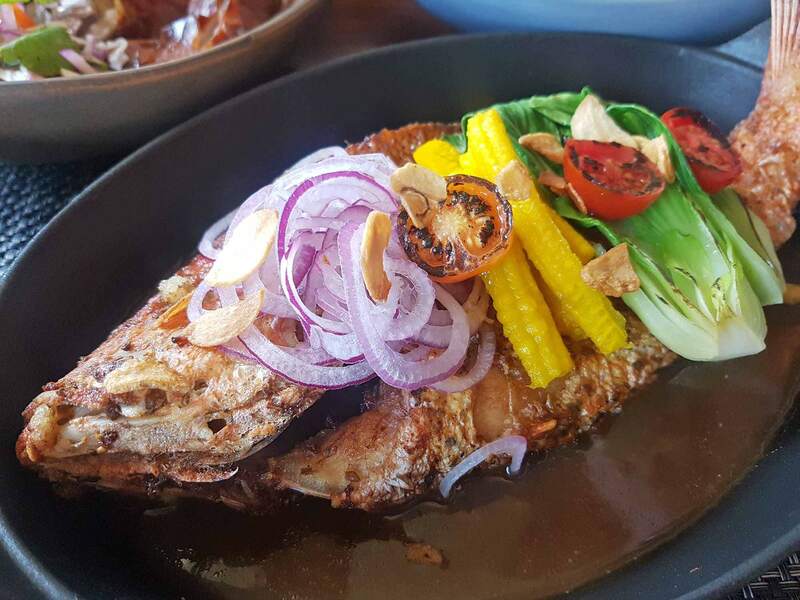 Traditional Latin dishes evolved with modern elements and Local Filipino flair. Take for example the Caldo de Res – an extremely hearty and satisfying soup made of hind shank and garnished with raw onion, raw onion, lime juice, jalapenos, and more cilantro. 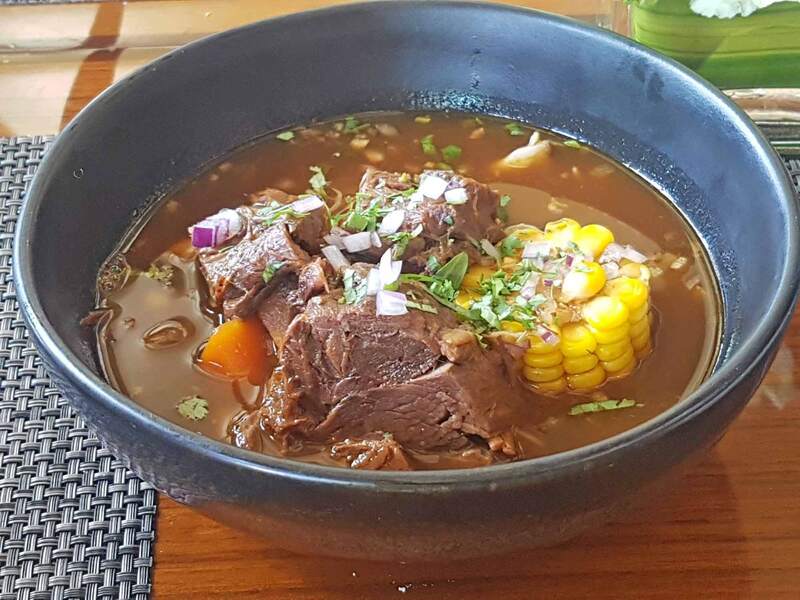 Its broth rich and meaty, very reminiscent of our local bulalo. Only it introduces a tinge of tomato flavor and sourness, making it more exciting and crave-worthy. I also took delight in the Arroz Con Mariscos and Cuban Style Suckling Pig Carnitas. On one hand the Arroz was a feast by itself – a spinoff of my favorite paella, rich with tasty treasures from the sea. While the Carnitas was an excellent version of what a real carnitas should be — smoky, tender, delicious. After devouring all those good Latin eats, do you think you still have space for dessert? Of course you do because the new desserts at Waterside at Solaire are the perfect meal-enders! I particularly enjoyed the Mexican Bread Pudding and the Chocolate Cream Slice best. 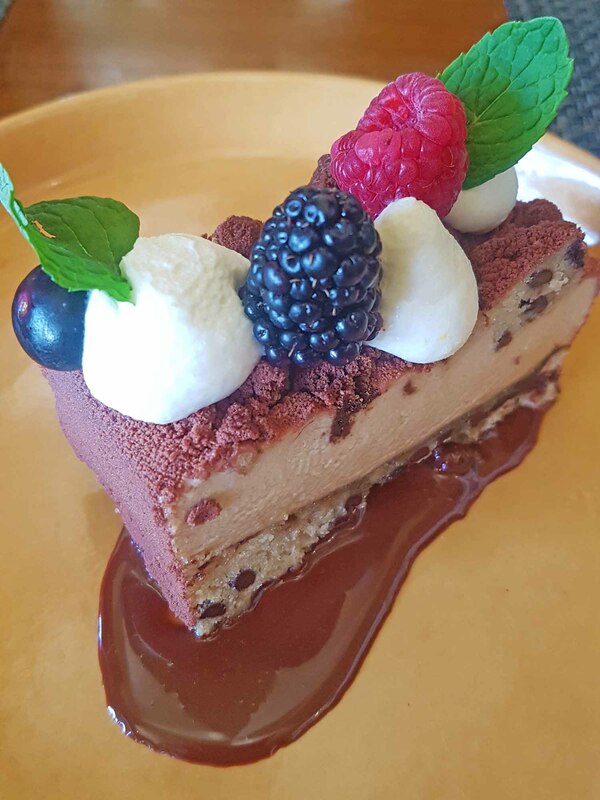 The pudding for its soft and mild-sweetness and the chocolate cream slice for the delicious combination of chocolate and fruits on top. Category 5 (HTD Favorite): Plantation Pineapple Rum and OFTD, Green Chartreuse, passion fruit, fresh lime, and smoked pineapple. Very reminiscent of the Hurricane we had in NOLA. Papa Wake up: Don Papa Rum, Dead Man’s Finger Coffee Rum, maple syrup, Angostura and grapefruit bitters. Waterside at Solaire’s new menu can now be enjoyed by diners who are looking for hearty, delicious, and inventive meals. While 85% of the menu is new, most of Waterside’s best-selling dishes were kept in the new menu. This includes the Gambas al Ajillo, Paella Valenciana, Paella Negra and Seafood Paella, as well as their Australian grass-fed steak selections. The best part? Most of the items are for sharing, good for friends and family. Guests can book direct by calling Solaire’s reservation hotline 8888-888 or through Solaire website and Zomato.